I'm a beginner, can anyone tell me how many pages usually a translator should asked to translate a day? If you are a real beginner, you may really not know, but asking others is not going to help you either, even when other translators provide an answer: knowing that others translate 2,000 words a day on average, doesn’t mean you’ll also translate at that speed. If you don’t have already a word count for the job you are going to do, first count how long the text to translate is. If it is a hardcopy or pdf job, a rough estimate (to the nearest 100 words) is good enough. Then time yourself carefully, starting from the moment you begin a job and until you deliver it to your customer. Include in the time you count all the time you spend on the job (including time spent researching the assignment, translating it, proofing it and entering it in your accounting system). Also include in the time count any short breaks you would normally take. It is tempting to stop the watch any time you go to the bathroom or answer the phone, but it would be wrong: if these are normal activities, you need to include them in your time reckoning. 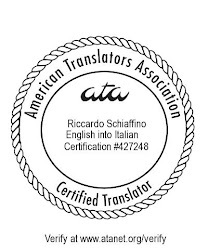 Do not include in the time count any time spent on other translations you might be doing in addition to the job you are timing, and do not include really major interruptions that would not normally happen. At the end of the job, a simple division will tell you your hourly speed: if the job was 1,800 words and it took you 6.5 hours to complete, your speed was 1,800 / 6.5 = 277 words per hour. Now from your hourly speed you can calculate your daily speed for that job: 277 * 8 = 2,216 words / day. Continue to do this until you have a good idea what your speed is under different conditions: different kinds of assignments, using different tools, and so on. Repeat this exercise from time to time, to make sure your statistics are still valid, and repeat it again any time a major change happens in your routine or in the tools you use. And, please, don’t fool yourself that if you normally can translate 2,200 words a day, you can accept that tempting 8,000-word assignment due tomorrow, if only you can stay awake long enough: you may be able to get away with it, some times. Disaster will strike in other occasions (and customers will remember). Thanks for this article! It is helpful to me as a translation student. Savannah, you are absolutely right! It will be very helpful for the newbies! !